Muscle wasting, also called muscle atrophy, is the weakening or loss of muscle tissue. Muscle wasting causes a significant decrease in muscle strength and the ability to move the muscle, according to MedlinePlus. In a healthy individual, muscle wasting can occur as result of the lack of physical exercise. 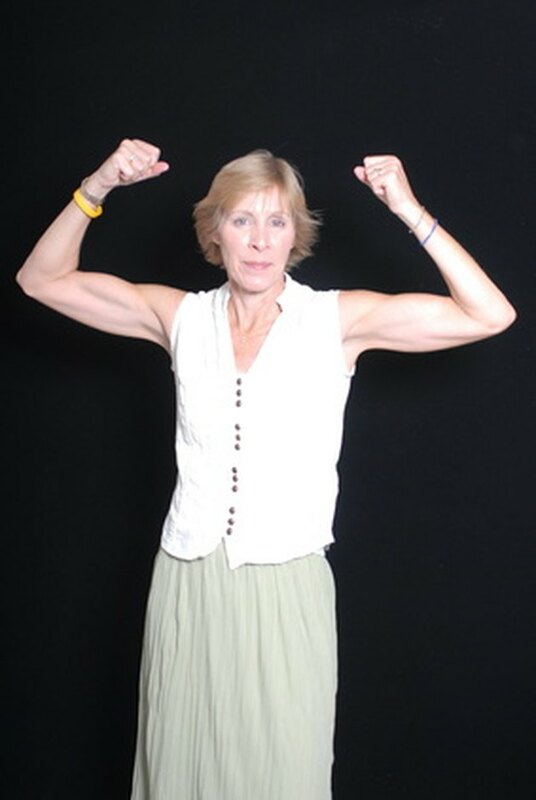 Those who are affected by certain diseases can also experience muscle wasting. Polymyositis is a connective tissue disease that is characterized by inflammation and weakness of the skeletal muscle. Polymyositis belongs to a group of diseases called inflammatory myopathies, which have no known cause. Symptoms of polymyositis appear gradually. The most common symptom is muscle wasting, but other symptoms include difficulty swallowing, difficulty speaking, joint and muscle tenderness and pain, fatigue and shortness of breath, according to MayoClinic.com. Treatment for polymyositis consists of a series of medications aimed at sustaining muscle strength and function, physical therapy and speech therapy. Guillain-Barre syndrome is an autoimmune disorder in which the body attacks its own peripheral nervous system, the nerves of the body not included in the brain and spinal cord. The cause of Guillain-Barre syndrome is unknown. Initial symptoms of the disease include weakness and tingling sensations in the legs, according to the National Institute of Neurological Disorders and Stroke. Eventually, the weakness and tingling sensations spread to other areas of the body and increase in intensity. Severe muscle wasting can cause paralysis. There is no cure for Guillain-Barre syndrome, but treatment is available to reduce the severity of the disease. Plasma exchange is a common treatment procedure. During plasma exchange, blood cells are extracted from blood that has been removed from the body. The blood cells are then injected back into the body, which helps to reduce symptoms. It is not understood why this procedure is effective. Intravenous injections of proteins, called immunoglobulins, may also be given to help reduce inflammation. Osteoarthritis is a disorder in which the cartilage between the joints wears down. As the cartilage loss increases, the bones of the joints rub together and bone spurs grow around the joints. Eventually, the ligaments and muscles around the joint begin to pull away from the joint and weaken, according to MedlinePlus. Osteoarthritis is linked to increased age, genetics, excess weight, repeated fractures and certain disorders. Symptoms of osteoarthritis include aching joints, grating of the joint, pain, swollen joints, limited movement and muscle weakness. Medications, lifestyle changes and physical changes are used in conjunction to treat osteoarthritis. Braces to support the joint and surgery to repair the joint may be used in severe cases of osteoarthritis.